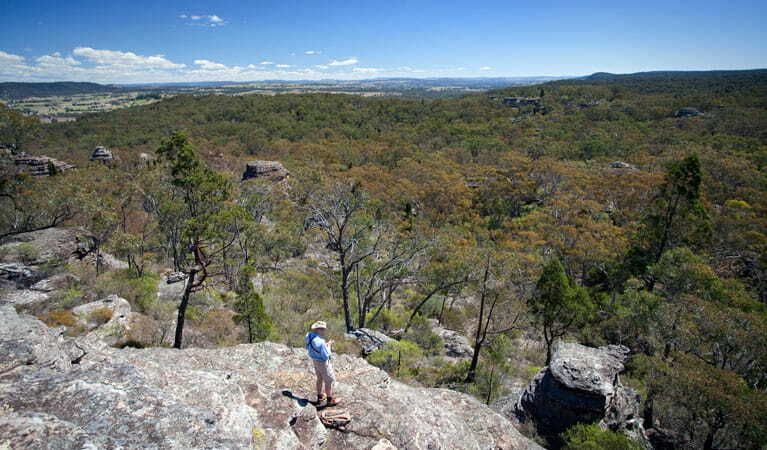 Munghorn Gap Nature Reserve, in NSW Central Tablelands, is a great place for birdwatching, walking, barbecues and enjoying scenic views of its sandstone pagoda features. 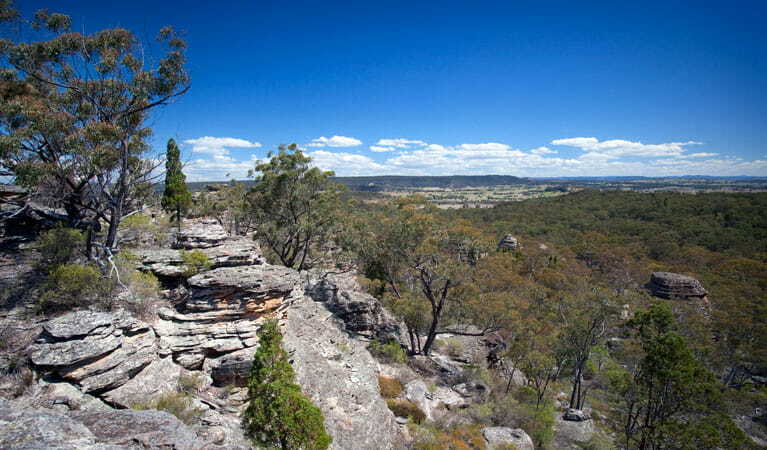 Munghorn Gap Nature Reserve is a particularly important place for Wiradjuri people. 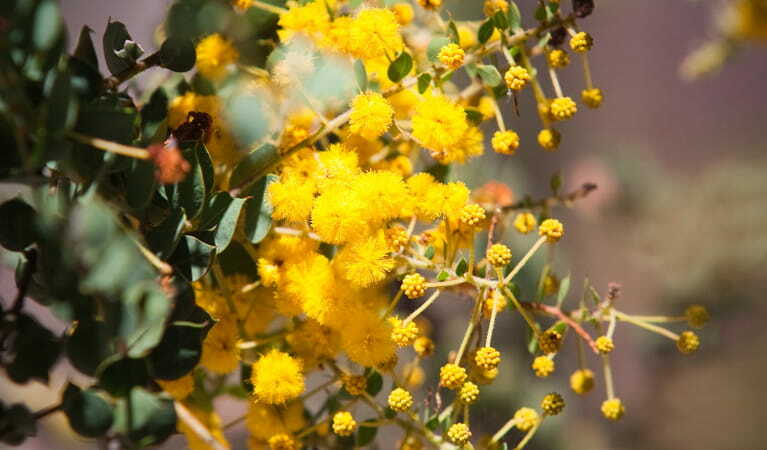 The second oldest nature reserve in Australia is steeped in Aboriginal heritage. 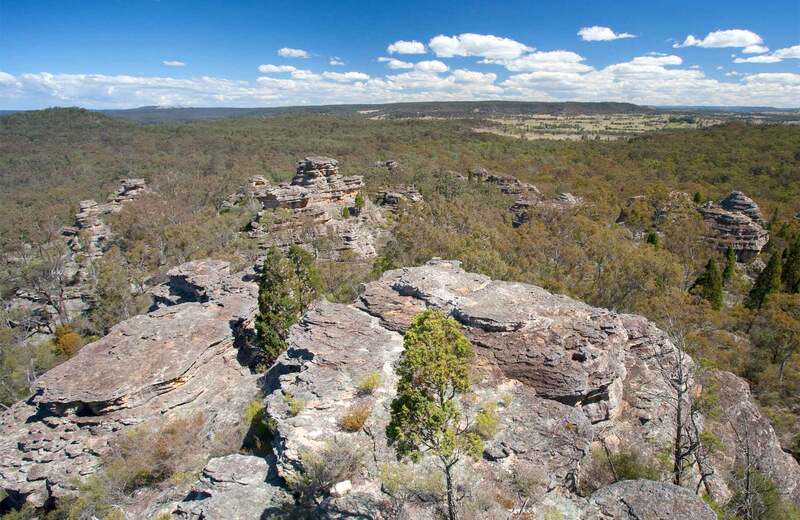 It protects an area of sandstone pagoda country where striking natural rock formations jut from the bushland-like ancient ruins. 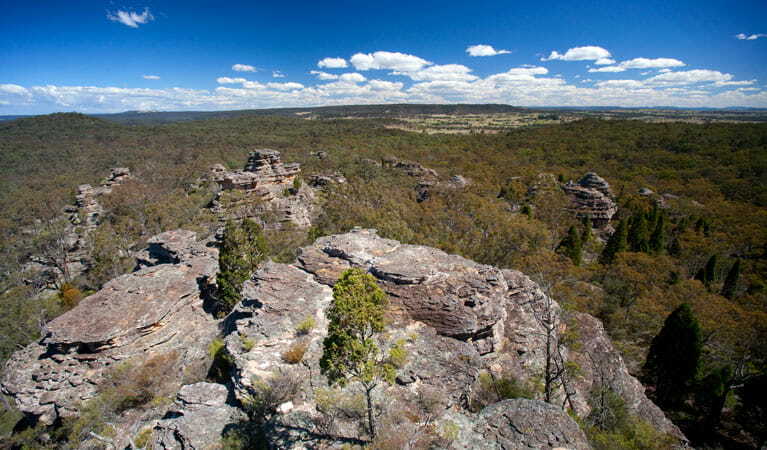 Best viewed from the lookout, bring your walking boots and follow Castle Rocks walk. 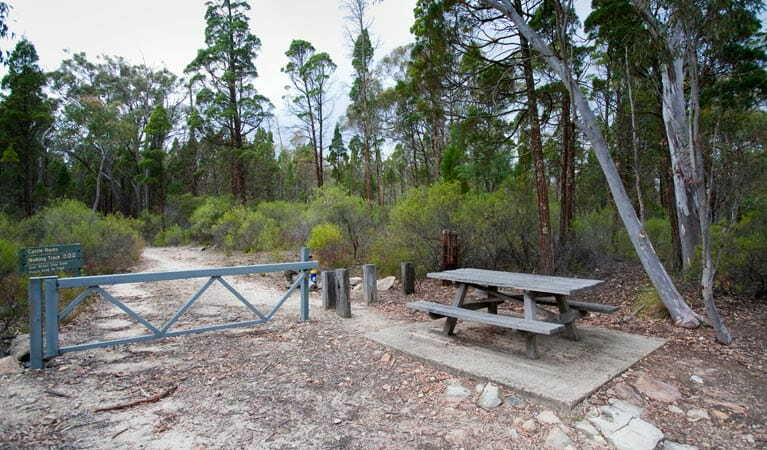 Pack a picnic lunch and have a meal with a view or return to Moolarben picnic area for a barbecue as a reward for your efforts. Within this lovely landscape, 164 species of birds have been recorded. To increase your chances of spotting an endangered and rare regent honeyeater, bring along your birdwatching binoculars, although you won’t need them to see an emu. Look out for discarded feathers on the ground – all these different birds probably cover every colour of the rainbow between them. And while you’re looking down, keep an eye out for a bower built by the male bowerbird to attract a mate. 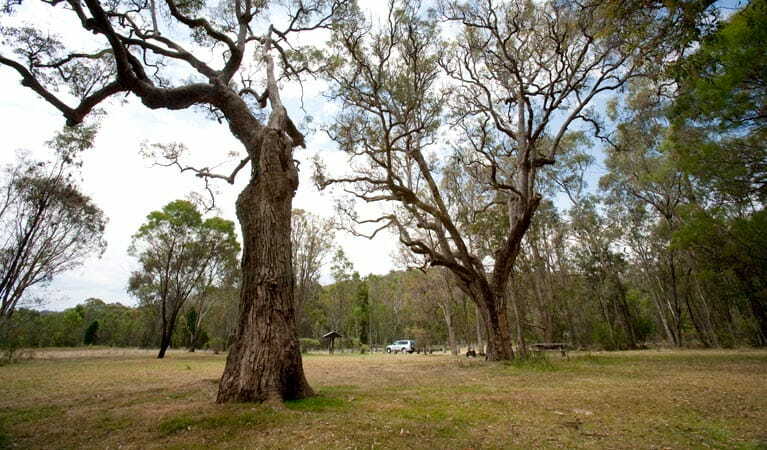 Munghorn Gap Nature Reserve is always open but may have to close at times due to poor weather or fire danger. Contact hours: Monday to Friday, 9am to 4:30pm.